We are anchored in the middle of nowhere, close to Glacier Bay National Park, as we have a permit to enter the park for tomorrow. The anchorage behind Pleasant Island is wide open, but well protected from wind and wave. 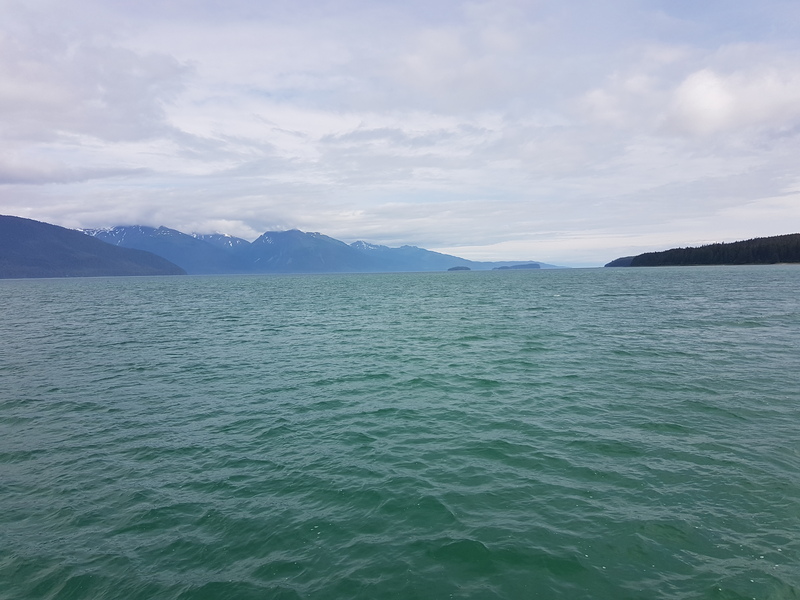 It was here that the authors of our cruising guide observed a pod of orcas killing two moose in 1992. Alas, we saw neither moose nor orcas today, just humpback whales, sea otters, dolphins and eagles.